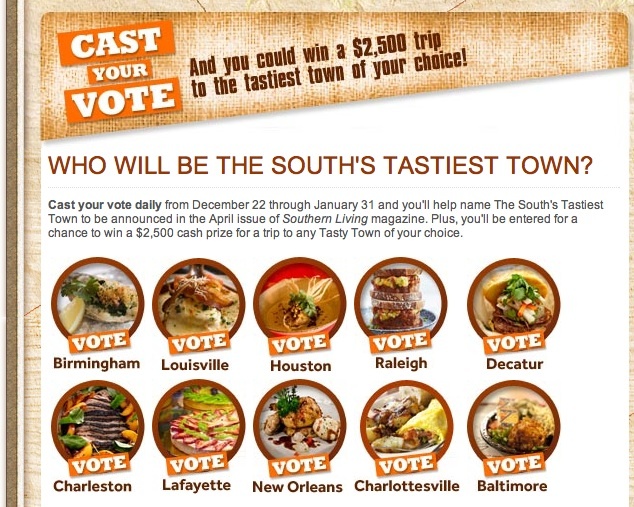 Have you voted for Louisville as the South’s Tastiest Town? Have you heard about Southern Living magazine’s latest poll? The publication is holding a contest to find the South’s tastiest town. Louisville is one of 10 cities up for the title. As of Tuesday night, nearly 16,000 people agree that Louisville is the tastiest Southern town. We’re number one — for now. It’s time to keep voting.